It was never Janet Rogers’ plan to become a poet; in fact, she always envisioned herself as a visual artist. Rogers, a Canadian Mohawk/Tuscarora writer, works in spoken word performance poetry, video poetry, and recorded poetry. Once a student in Stoney Creek, Rogers was the featured guest poet during the recent Hamilton Youth Poet’s Welcome Back poetry slam that following the team’s Winnipeg trip to the Canadian Festival of Spoken Word. There, she debuted her latest collection of poems, Totem Poles and Railroads. She has published four collections, performed on three CD recordings and currently hosts a radio show on CFUV Victoria. Rogers was named Victoria’s Poet Laureate from 2012 to 2014 and Writer in Residence for the University of Northern British Columbia in 2015. Hamilton Youth Poetry team member and fifth-year political science student Chukky Ibe reflected on the team’s decision to have Rogers be the guest speaker during their homecoming slam. “In Winnipeg, we learned much about the history of Indigenous people in Canada. We learned about the importance of honouring first nation traditions, and claims to the lands we live in,” explained Ibe. To Rogers, the inspiration for her writing process is instinctive. “I feel a physical inspiration in my body,” said Rogers. Many of Roger’s poetic pieces demonstrate her enthusiastic passion for native heritage, feminism, and love, among many others. She believes that as a writer, it is her responsibility to discuss meaningful topics. “Artists record historical archives so people can look back to understand and gain a different perspective than what people would see in the news, on the Internet, or on social media,” explained Rogers. Like many poets, songwriters and dancers, Rogers recognizes the extent that art can impose on defining history. To maintain the vitality of her work, Rogers has begun to incorporate multimedia into her art form. By introducing musical and visual aspects into her poems, Rogers hopes to generate a different experience not only for herself but also for the audience. While Rogers attended residencies and fellowships to gain her knowledge of poetry, she stated that universities are an excellent resource in creating a community of support for writers. 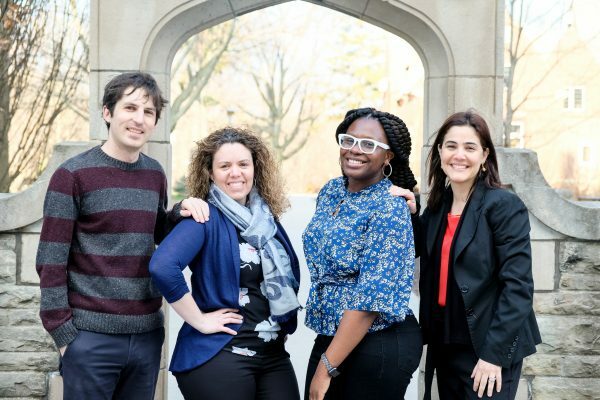 Rogers believes that the influx of validation from universities on a broad range of poetic practices can interest a variety of students to become involved. When asked about advice for students with a desire to pursue poetry, Rogers strongly emphasised the importance of building successful publication credits and a “calling card”. Publishing credits may include any past writing experience, and its establishment will assist in the generation of a strong curriculum vitae. It is relevant to note that self-publishing is commonly validated and therefore can be included within the publishing credits. A “calling card”, as Rogers named it, is a booklet that showcases an individual’s artistic pieces and should be readily available. One of the most important pieces of advice that Rogers mentioned was the importance of initiative and comprehension of self-worth. 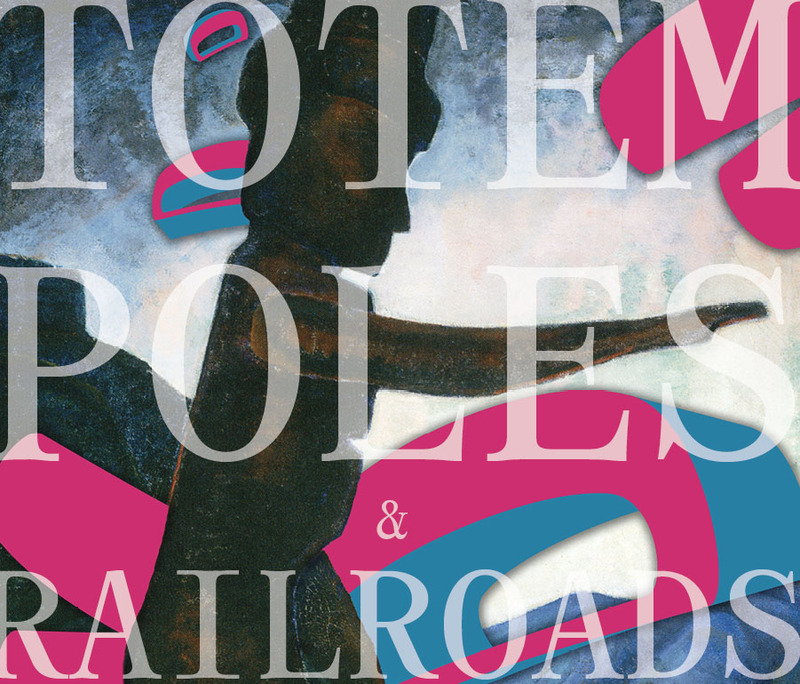 Rogers’ newest poem collection Totem Poles and Rail Roads captures the relationship between Indigenous nations and the corporation of Canada with a powerful but intimate voice. Rogers is looking forward to completing more residencies and taking on a new radio project in the near future.